Analysis: The 46-year-old future Hall of Famer remained effective in 2018, converting 23 of 27 field-goal attempts (85.2 percent) and 44 of 47 extra-point tries (93.6 percent). 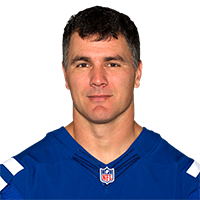 Attached to an Andrew Luck-Frank Reich offense and still capable of drilling kicks in the range of 50 to 55 yards, Vinatieri profiles as a top-10 option at his position for 2019 fantasy drafts. 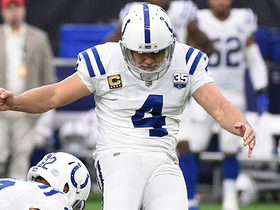 Analysis: Vinatieri saw his lowest amount of regular season field-goal tries since 2015, but he managed to remain a solid fantasy option due to reliable accuracy and a large volume of extra-point attempts. The 46-year-old veteran is set to become an unrestricted free agent this offseason, and it remains to be seen whether the NFL's all-time leading scorer will play in 2019. 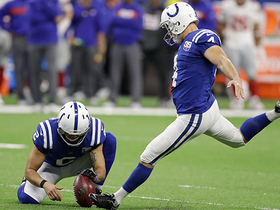 Analysis: Vinatieri didn't attempt a field goal for the third time this season. On the year, the 45-year old is hitting on 84 percent of his field goals and 95 percent of his extra points. He'll aim to finish the regular season strong against the Titans in Week 17. 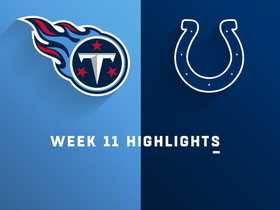 Analysis: The 11 points ties Vinatieri's most productive game of the season, as he converted field goals from 43, 44 and 23 yards. The 45-year-old has made 21 of 25 field goals for the season, but he has seven games with one or zero made field goals heading into the Week 16 matchup with the Giants. 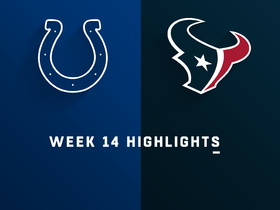 Vinatieri knocked through his only field-goal attempt and converted each of his three extra-point attempts during Sunday's 24-21 win over the Texans. Analysis: The ageless wonder improved his field-goal conversion rate to about 82 percent with his performance Sunday. His 54-yard boot tied a season long. While the 23-year veteran has been solid this year, Vinatieri hasn't converted more than two kicks in a game since Week 3. 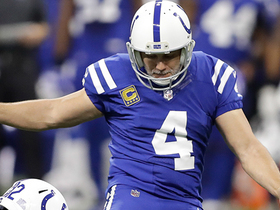 Vinatieri did not attempt a field goal or extra point during Sunday's 6-0 loss to the Jaguars. 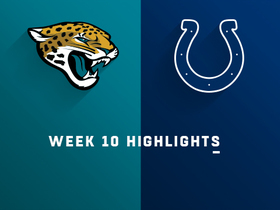 Analysis: Vinatieri did not see any offensive usage during the Week 13 loss, one in which the Colts offense was completely shut out by Jacksonville's defense. The veteran will look to bounce back to his usual workload against the Texans in Week 14. 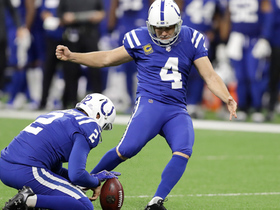 Vinatieri converted two of three field-goal attempts and made all three of his extra-point tries during Sunday's 27-24 win over the Dolphins. Analysis: Vinatieri nailed a 32-yard field goal as time expired, leading the Colts to a Week 12 win over Miami. The veteran has made 17 of 21 field-goal attempts this season and possesses weekly fantasy upside in Indianapolis' high-powered offense. Vinatieri made his only field-goal attempt from 22 yards and converted all five extra-point attempts in Sunday's win over Tennessee. 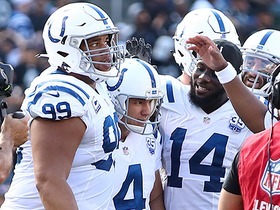 Analysis: Vinatieri wasn't tested in Sunday's blowout 38-10 win. He's made 15 of 18 field-goal attempts this season with two of the misses from 50-plus yards. Vinatieri missed his only field-goal attempt from 52 yards, but made all three extra-point attempts in Sunday's win over Jacksonville. Analysis: Vinatieri had made two of three field-goal attempts from 50 yards or more before Sunday, so this shouldn't be a cause for concern. However, he had made 12 of 15 attempts (80 percent) from 50 yards the previous two seasons. Adam Vinatieri now has the NFL record for most field goals in NFL history. 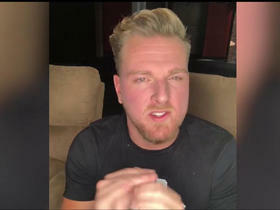 Another former Colts special teamer, Pat McAfee gives his take on the accomplishment. Indianapolis Colts kicker Adam Vinatieri nails the PAT to give the Colts a late lead. 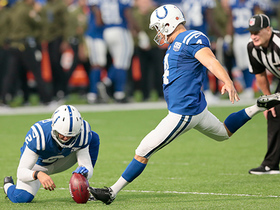 Indianapolis Colts placekicker Adam Vinatieri nails a 54-yard field goal as the first half wraps up. Indianapolis Colts kicker Adam Vinatieri misses a 48-yard field goal attempt. Indianapolis Colts kicker Adam Vinatieri field goal attempt goes too wide and misses. NFL Networks' Judy Battista reports on Indianapolis Colts kicker Adam Vinatieri rise to stardom as a college student at South Dakota State University to a kicker for the Indianapolis Colts.